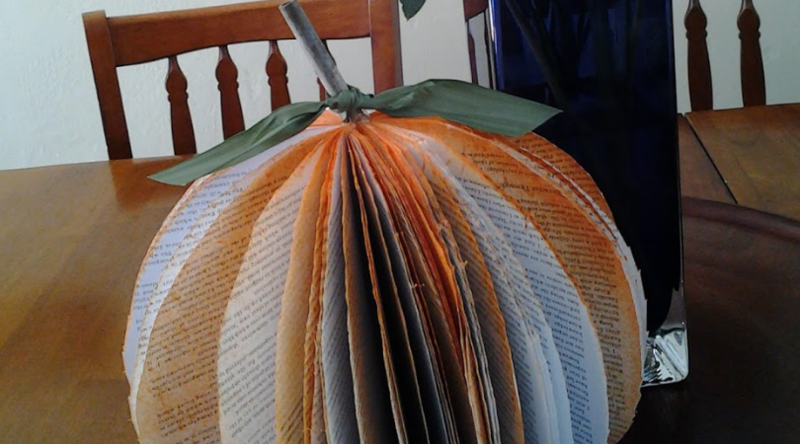 After ripping the hardcover from the spine, take trusty sharp shears and carefully cut the outside of the pages (the best I could) in a half-circle round, yet think pumpkin shape. Pumpkins aren’t exactly round, so I made the base a little bit fatter. When all was toasty dry from sitting in the Fall sun, I took a piece of dried broken wood I found in the yard for my stem and hot glued it on. I finished it off with a nice wide green ribbon as the leaves. Now you try it! 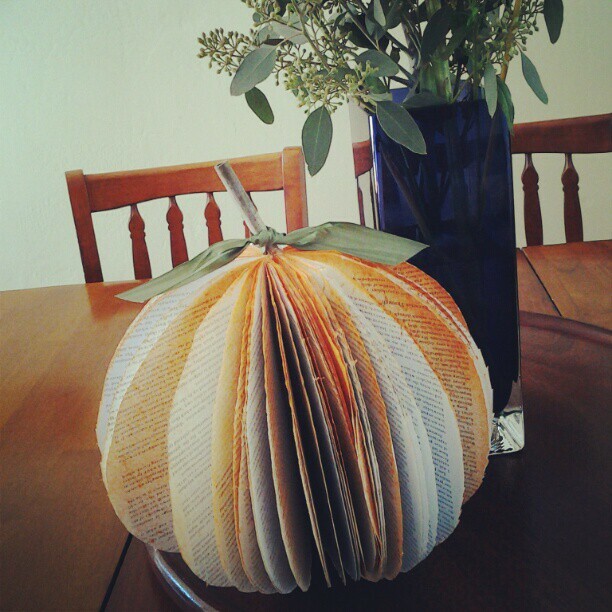 Pin this Book Pumpkin Craft!